Kelly and I went to the Music Builds tour at Walnut Creek Amphitheater with our friends Jonathan and Amanda, and we met Nikki and Paul there. We got to see both Switchfoot and Third Day! Unfortunately, we missed Red, Robert Randolph, and Jars of Clay, though at the end of the show, Red came out and sang with Third Day, Robert Randolph played with Third Day, Jars of Clay sang I’ll Fly Away with Third Day, and then Switchfoot came out and everyone played When Love Comes to Town, which was pretty awesome. What we saw of Robert Randolph was pretty impressive so I plan on finding some music of his on myspace or imeem or some such and giving it a listen. We were 5th row dead center, as you can see from the photos. Both bands put on an amazing show. 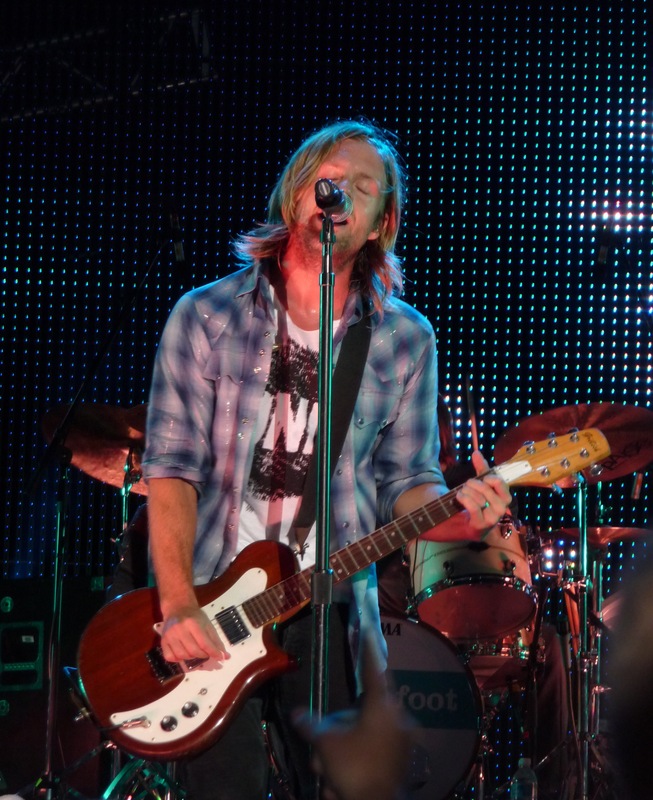 This is the 2nd time we have seen Switchfoot in the past year, and they are really worth watching live. And I think it is the 4th or 5th time we’ve seen Third Day now. I’m in Friends of the Foot, so after Switchfoot played, Kelly and thought we’d get to see them at the Meet and Greet, but it took longer than we expected, and when Third Day started playing, we left the line and went back to the show. 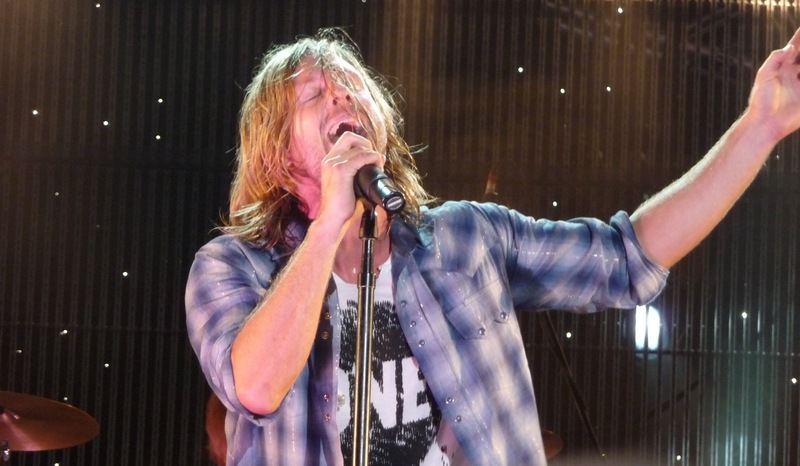 Maybe next time we see Switchfoot in concert and they are the only headliner, we will get to meet them. We did get to go to the meet and greet for Third Day, as Nikki went to school with Mac and Mark. We even stayed after the meet and greet and hung out with those two for 20 – 30 minutes chatting. They are both so down to earth and friendly, and we appreciated them hanging out after such a long day. 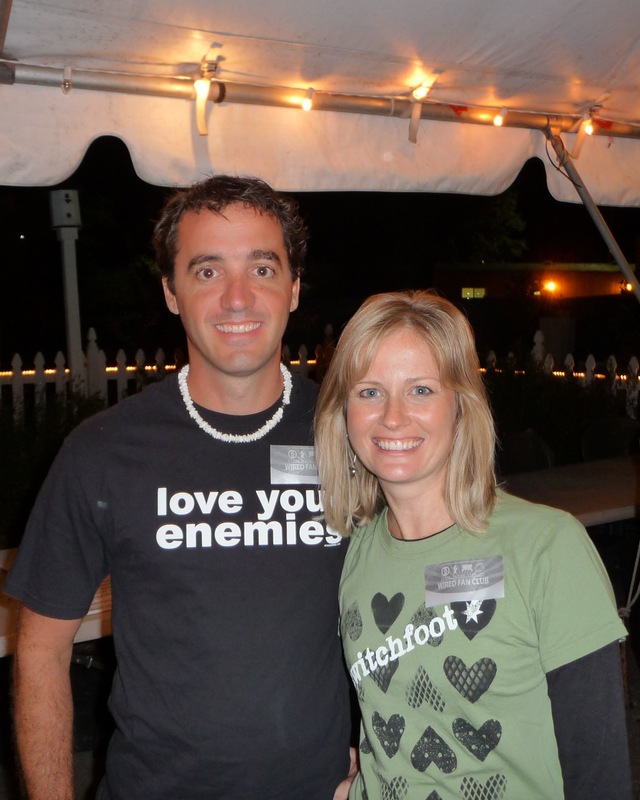 One thing that was funny is that Kelly was worried about wearing her Switcfoot shirt while we were talking to Third Day. Mac said he saw her while they were playing and noticed the shirt! I believe him because I could see him making eye contact with lots of different people in the audience. 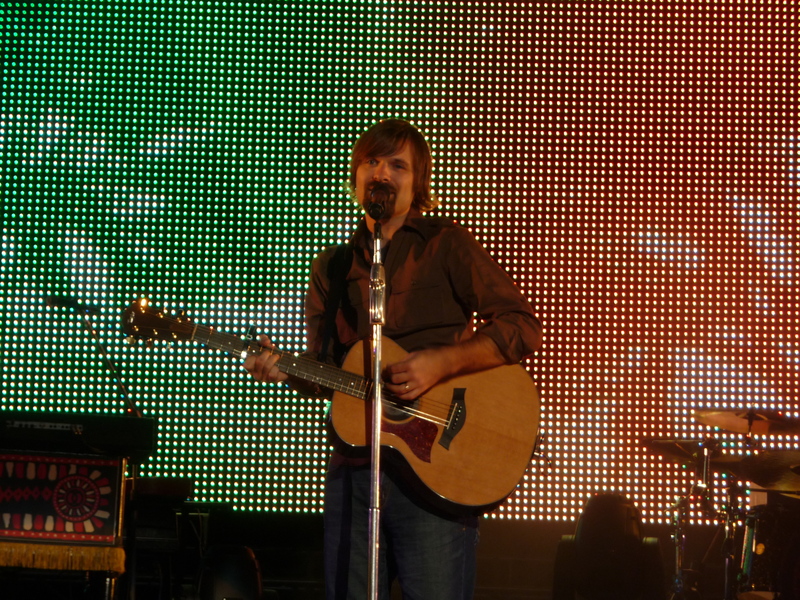 This entry was posted in Music, Photos by seanb724. Bookmark the permalink. Wow…great pictures! 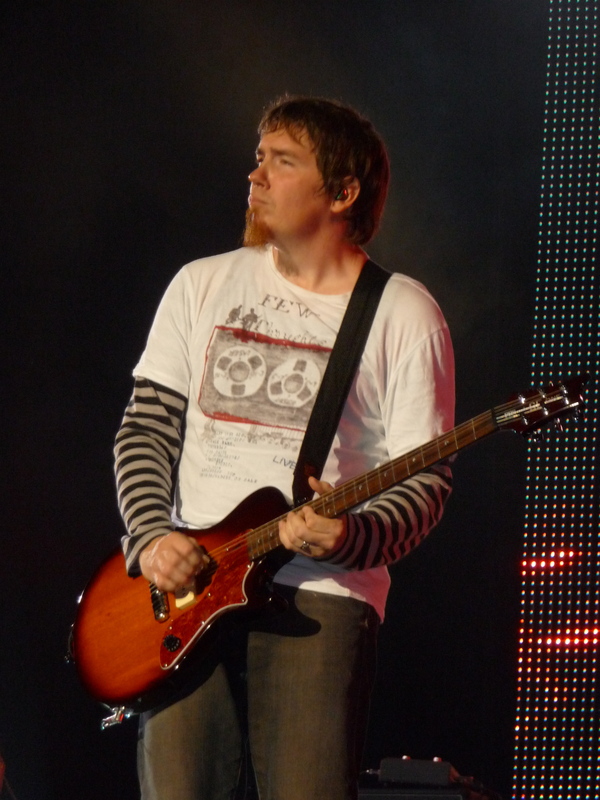 I was there also (front row right in front of Mark). Sounds like you had a great time!